Balancing your mind, body and spirit creates a deeper sense of well-being in life. Learn simple techniques to balance your own energy centres for a more integrated, healthy and enjoyable lifestyle. Explore the simple yet powerful benefits of mindfulness meditation. Grow your awareness of being in the present and enhance your sense of well being, combined with the practical use of essential oils to enhance focus, relaxation and clarity. Enjoy blending different essential oils to make a personal fragrance and learn a little about how essential oils can work for you and how you can blend oils for different purposes. 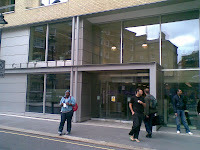 The classes all take place at City Lit, Keeley Street, Covent Garden, Camden, London WC2B 4BA. For more details, visit: http://www.citylit.ac.uk/ or call 020 7831 7831 to enrol.